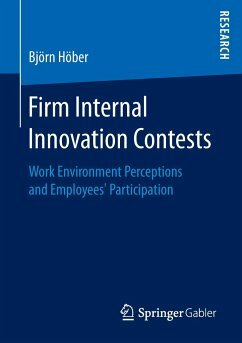 This book highlights how employees' work environment perceptions significantly influence individuals' attitudes and their intention to participate in firm internal innovation contests. Furthermore, it emphasizes the aspects of an organizational encouragement for participating in such activities. In general, such aspects are diversified, multifaceted and are spread over all levels of the organization's hierarchy. Based on strong theoretical foundations, this work presents a mixed-methods approach to investigate the impact and characteristics of a supporting work environment for innovation contests. Dr. Björn Höber is a post-doctoral researcher at the University of Koblenz-Landau, Institute for Management. Before starting his PhD, he worked as project manager and consultant for large German companies in logistics and telecommunication industry. Dr. Björn Höber studied business informatics at the University of Koblenz-Landau. 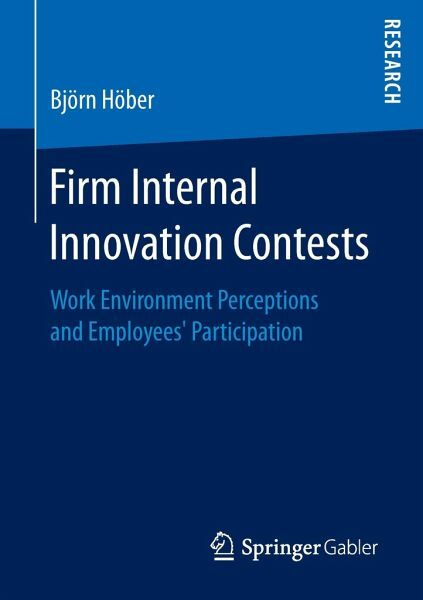 The Importance of Employees' Work Environment Perceptions for Innovation Contests.- Causalities between the Work Environment and Participation in Firm Internal Innovation Contests.- A Framework of Critical Success Factors representing an Organizational Encouragement for Innovation Contests.